Or, if necessary, get someone to do it for you. I suspect this request is going to be a bit like yelling into an empty wine barrel: it might make some noise, but unless someone’s listening, it might not be of much use. Now, the disclaimers: Mistakes happen. I understand that. Despite the best efforts of yourself, your editors, and whomever else may read a piece before publication, there will be typos and mistakes. After I sent the MSH a copy of my book, The Lama Question, she wrote back: Looks great! Shall I send you the list of typos I’m compiling? I declined the offer. I should take it up eventually, but at the time, I was glad the book was out. Another disclaimer: This is not addressed to all wine writers. Some of them are very good, both in terms of writing and factual content. I have great admiration for them. But the things I’m talking about seem depressingly common. Trying to trim a few ‘mistakes.’ Writers take note. Nonetheless. There are errors and mistakes, and then there are those that make you wonder if the writer has done basic research, or if they even care. It’s the latter I’m talking about. Let me give you some examples. I’m not going to name names of people or publications, although some readers may well figure them out. From something on biodynamic wine, on Rudolf Steiner, the founder of biodynamics: ‘He was an architect by trade, but seems to have been restlessly interested in any number of subjects.’ Yes to the latter, but a definite No to the former. Yes, he did design buildings, but that was really only one of the ‘any number of subjects’ he was interested in. His doctorate was in philosophy, on Fichte, more precisely. From a piece on soil and terroir: ‘healthy soils … have up to a staggering 100 million to 1 billion molecules of bacteria in one little teaspoon.’ What’s the formula for a molecule of bacteria? They (the bacteria) are made up of lots of molecules of other stuff, but they themselves are not molecules. From yet another piece: ‘Slovene families who ended up on the Italian side of the newly drawn border after the second world war endured more severe cultural repression, as their ethnicity and language were persecuted under Mussolini.’ Perhaps this one is just really badly written and edited, but Mussolini didn’t survive World War II, as this suggests. These sorts of errors aren’t limited to wine writing, of course. I once read a book on post-socialist Mongolia by an academic that contained something like five mistakes in the first three pages. They might not have been obvious to a casual reader, but if you knew anything about the topic, they were glaring. Am I being overly cranky or pedantic? I don’t think so. Some of these mistakes are by award-winning writers. They should know better. For me, at least, the result is that I start to doubt whatever else they may be writing. That is, assuming I continue reading for any reason other than to look for more mistakes. In the case of the first example, I skimmed the rest of the explanatory text, to see if there were any more major mistakes, and now use it as a starting list of some biodynamic wine producers, which I then check myself. The second one I stopped reading after a few more sentences like the once I cited. The third I put aside, and am still shaking my head over. The final example? Well, I tend to avoid that blog and other writings by the same person. And that’s my point. Wine writing isn’t much good if it isn’t read. Most of these are well-known and well-regarded writers, so perhaps I’m the only one who is put off by such failures of basic fact-checking or research. After all, presumably not many people in the wine world have spent as much time delving into Steiner and his philosophy as I have over the last few years, and may not care if his background is misrepresented. But I am indeed put off. When asked for reading recommendations, I might mention one or two of these authors as names many people seem to like, but I also add that I find them problematical. I can’t recommend them in good faith any more than I can the academic who made five historical mistakes in three pages. To put it another way: It’s about trust. This leads to two things. First, if you are writing about wine, or terroir, or some such in general, you’ll probably end up on the ‘ignore’ pile. Second, if you are writing about specific wines, why should I trust what you say about those wines? 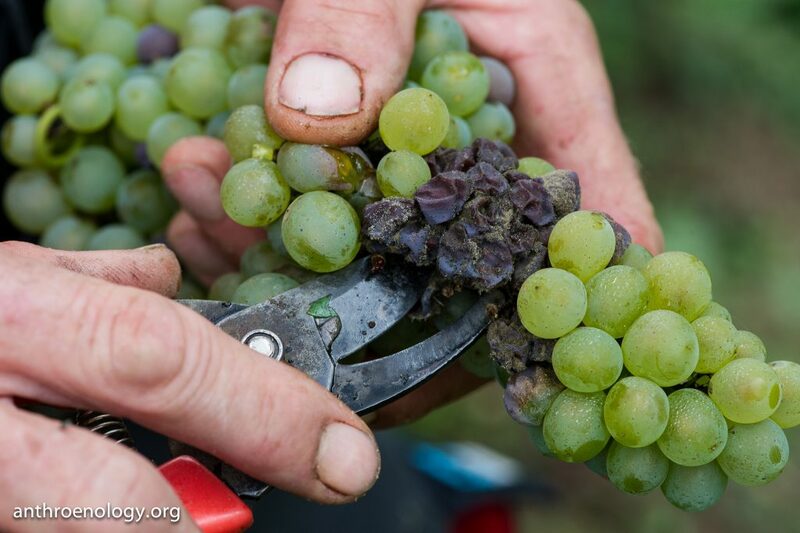 How – and why – should I trust that a wine is made from the grapes you say it is? Or that it has been aged for a certain length of time under certain conditions? The short answer is, I can’t. For me, you’ve gone from being a wine writer to someone who may have mentioned a wine that sounds interesting, but I’m not going to take your word on it. You could save us both some time and just publish a list of wines instead. So, wine writers: please learn to do some fact-checking. I, and I’m sure others, will thank you for it.